Los Angeles, Calif. – BOOM! 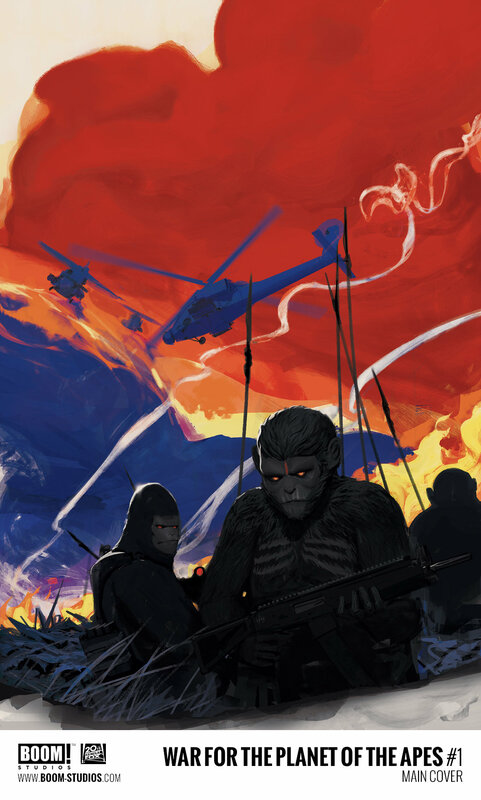 Studios and Twentieth Century Fox Consumer Products announce WAR FOR THE PLANET OF THE APES comic book series that serves as a prequel story to the upcoming blockbuster film. 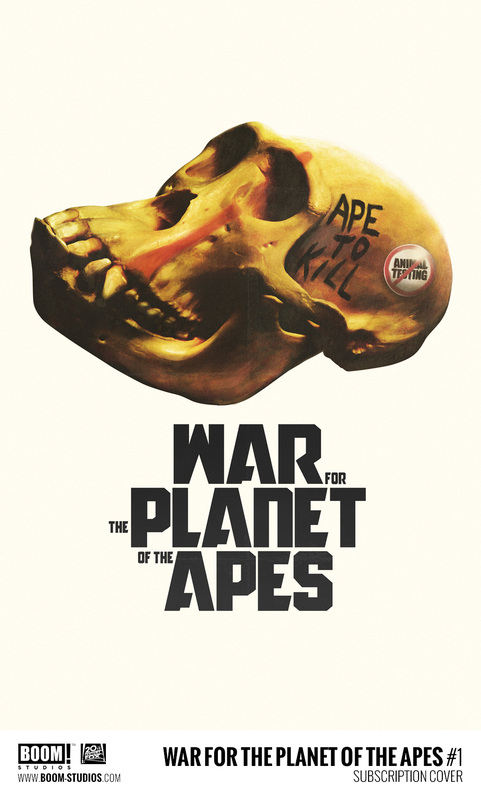 Written by David F. Walker (Power Man and Iron Fist) and illustrated by Jonas Scharf (Warlords of Appalachia), War for the Planet of the Apes comic series debuts July 12, 2017 as a four-issue monthly limited series. The highly anticipated 20th Century Fox film opens two days later on July 14. Nate and Jenna finally have a heart-to-heart about their relationship, Starlee ponders a future away from Blackfossil, and the tables turn on Captain Jim and Nate as they become the hunted. Sometimes it just comes down to grabbing a bunch of issues and doing some catching up. Both this series and this second set of issues were ones I was very happy to return to after a bit of delay. Continuing the story and concluding this volume, it’s Voracious: Feeding Time with issues two through five. A new beginning! Bandit is transported to the Crow King’s realm and it’s a land of magic, dark spirits, and fairies. Featuring new Hero Cats – Lancelot, Sapphire, Newton, and Madalyn. This is a perfect starting point for new readers. Whoa. Whoa whoa. I feel like I’ve gone through some sort of comic wormhole or something. It’s been what, at least a half dozen issues of filler and we’re back to the ongoing story. Sort of? Not at all as we’d expect though, as issue sixteen is now the Hero Cats of Skyworld, so we’re totally not in Kansas Stellar City anymore.